Lovely Blue Forget-Me-Not flowers pop up in the garden like a weed. I let them stay because they are so cute... and yet their seeds have little burrs that stick to your clothing. I wonder if that is how it got it's name? 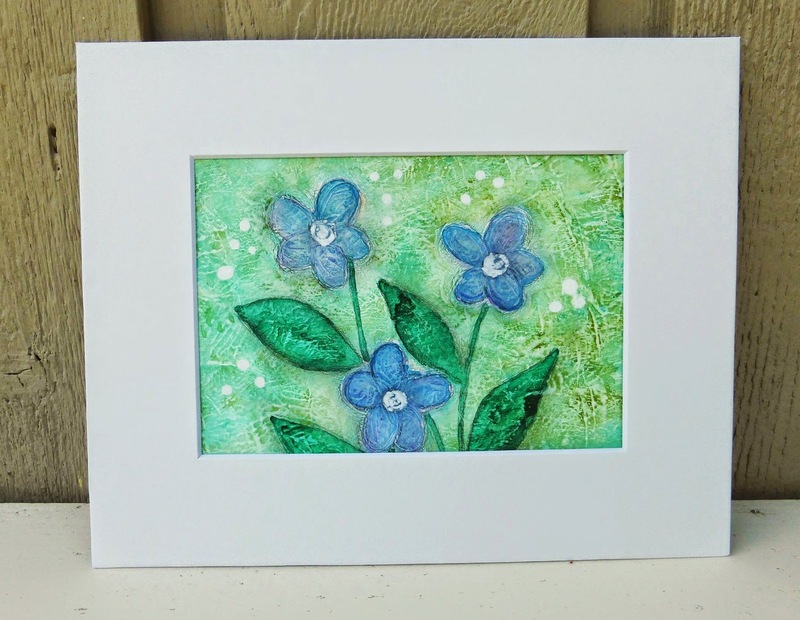 This Blue Forget-Me-Not original abstract painting is now available in my Etsy shop. Lovely painting. I especially like your textured background, it looks really beautiful. Sweet! I had never thought about it, but you may be right about their name - LOL! Happy PPF and have a blessed week. This is so pretty. Very nice indeed.